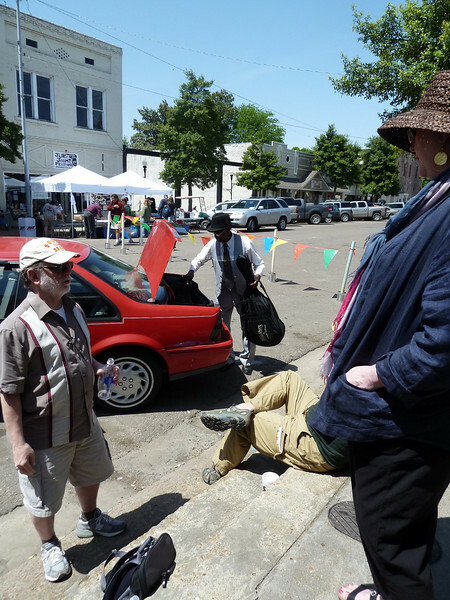 In which we travel from Memphis to Clarksdale, MS for the annual Juke Joint Festival. Robert "Wolfman" Belfour. getting ready to perform at the cat head mini-blues fest. A blues man gots to unload his own stuff.